I visited Carowinds during my Spring Break in March of 2019. I have some thoughts about the park in general that concluded my visit. Today I will be sharing those thoughts that represent my personal opinions and ideas up to April 2019. I cannot guarantee that after that point that these still are representative of my thoughts. While there are many awesome things about Carowinds that make it a great park, I am going to be focusing on the things that make the park less superior compared to other Cedar Fair parks. Kings Island is one of the parks that Carowinds is often compared to. I am focusing on putting the Carowinds side of the comparison together. When I first arrived to the park on Saturday I noticed one thing that was not good. Especially for opening day. Parking tolls for the park were not open on an acceptable time frame. If you have been to any seasonal amusement park on opening day (meaning it is not open all year-round), you will know that it is normally crowded. Especially when a new attraction or ride is being introduced to the general public, many people head to the park to experience it. This was the case with Carowinds this year. I mentioned Copperhead Strike, their newest roller coaster in several previous posts. The parking tolls did not open until around 9:50 a.m. on opening day. Cars were already lined up to get into the park (some came really early), however, this still is not acceptable. It slows down the opportunity for guests to experience a full day at the park and ride Copperhead Strike as early as possible. It also caused some traffic problems and does not look good especially for people traveling from a far distance (there were many) – it does not give a good impression on the park. Opening the parking tolls 10-minutes before park opening is not appropriate and causes many issues. Another thing that I noticed when I was at the park in all of my visits (not just in 2019) is operations. Carowinds does not do the best job with operations. They have a lot of rides that have technical issues or just not ready to be open for the season. While understanding that this is normal for amusement parks, the park struggles with it. Many of the park’s rides have an excessive amount of downtime. A lot of them also are not ready to operate when the park opens. The main problem is that this does not happen to one or two rides – it happens to eight to fifteen at a time. This is too much and disrupts the flow of guests throughout attractions. In addition, it also causes negative guest satisfaction. The park does not address these very well compared to other Cedar Fair parks. Knowing, some days are just not good for a park. But, Carowinds has many days and persistent patterns of the same thing. Something else that I noticed was the park’s wait time app. While Cedar Fair as a whole has completely transformed their mobile apps in the past years, work is needed. Kings Island does the best job with wait times – they are very accurate in my experience. Carowinds struggles a lot compared to its sister parks with their mobile app. Almost none of the rides actually are posted in the wait times list. The only ride that was listed was Copperhead Strike and you would think since it is a new ride the wait would be accurate, right? No. That was the only ride listed and the waits were COMPLETELY INACCURATE. It would say the coaster is 30 minutes and it would actually be 2 hours. There will always be flunctuations in the wait time but it clearly was not updated. Now, since it was opening weekend that was the likely reason for it not to be completely operating. But, that is a huge setback. The park does a great job with shading compared to some of the other Cedar Fair parks. Most of the queues for the popular rides are covered with shade for guests. There are also numerous park benches with shading over them in the park. That is one of the things that the park has done an excellent job with. The final area of focus that I will be including in this post is the food. The park does not have enough food choices for everyone. Amusement parks are amusement parks. They will have stands with burgers, fries, hot dogs, etc. They also will have Dippin’ Dots. But, MOST of the other Cedar Fair parks have a few restaurants with good food and full-service. Carowinds does not have a restaurant like this. Some of them may have food that is better than at a stand but compared to Kings Island, Cedar Point, and others it is not impressive. Those are the main problems that I continue to see at Carowinds. I really hope that the most important ones that affect the majority of the guests will be addressed soon. I could not agree with this article more. I will say this though, the park experience does improve as the year goes on. Since the opening for the 2019 season though, Carowinds operations have been brutal. The toll booth operations was a total cluster (like you mentioned) and I read from several people that 3/4 of the rides were down too. I would not have been happy if I had been there. You are correct about the wait time clock as well. That is a issue that I’ve had myself. It is hardly ever correct in estimated wait time. As for food options, Carowinds is one of the weaker parks that I’ve been to. SFOG use to be just as bad but they have really improved over the last few years. Now, SFOG destroys Carowinds in the food department. To be honest, Dollywood destroys SFOG in food options, but Dollywood does that to most any park. I still love Carowinds and I think this constructive criticism is good for the park. Other parks are getting better and Carowinds should too. The park from my own experience tends to be better as the season progresses. Operations for 2019 so far have been very bad, as many people have been mentioning. The wait times for Cedar Fair parks needs to be improved. I know Cedar Point is working on a new system to improve it. Carowinds just has a lot to improve on since a lot of other parks are improving at a fast rate – the constructive criticism is what the park needs to make adjustments to fit the needs of the guests. Thank you for reading! 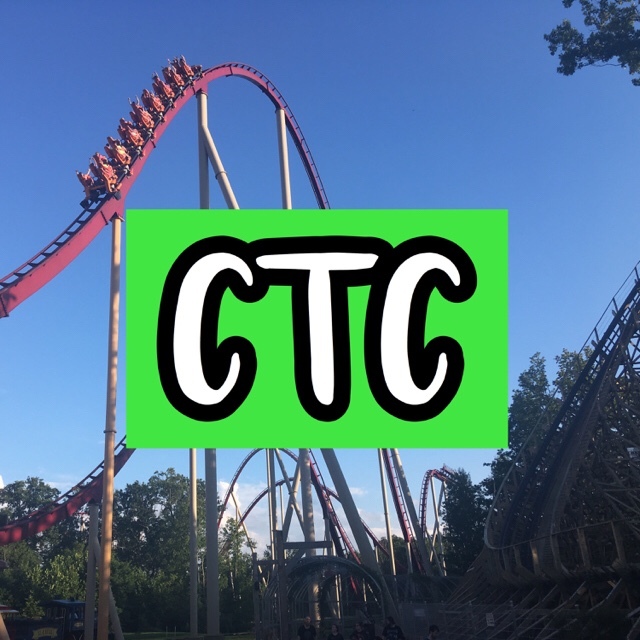 Next10 Tips for Visiting Carowinds!